(MENAFN Editorial) WhiteSands Treatment Center is a premier addiction treatment in Florida, offering inpatient and outpatient services to people who seek freedom and recovery from their addiction. Sarasota, Florida - WhiteSands Treatment Center is a premier addiction treatment in Florida, offering inpatient and outpatient services to people who seek freedom and recovery from their addiction. WhiteSands provides each patient with a unique approach to drug and alcohol treatment because they believe that every person deserves needs distinctive care and highly personalized treatment. CEO Gary Jonas stated, 'From Day 1 at WhiteSands Treatment, our focus has been to deliver superior clinical and medical care, a relaxing resort-style environment which fosters recovery, and a highly qualified staff which genuinely cares about helping patients get back to leading healthy, productive lives that are free from substance abuse. Those who have gone through the center's treatment process have nothing but praises and commendation for them. Former WhiteSands Treatment patient, Janell Dinis, said, 'My stay at White Sands in Tampa was yet the most incredible experience of my life. Each member of the staff there made me feel like I was important. You will never regret this choice if you are prepared and ready to change your life. Own yourself! WhiteSands Sarasota takes a holistic approach to drug and alcohol recovery, customizing the treatment based on the patient's needs and requests. They also make sure that the patient, whether seeking inpatient or outpatient treatment, are comfortable in the hands of their able staff so that they can fully recover in mind, body, soul, and spirit. On top of that, they see to it that the privacy of each patient is not compromised. 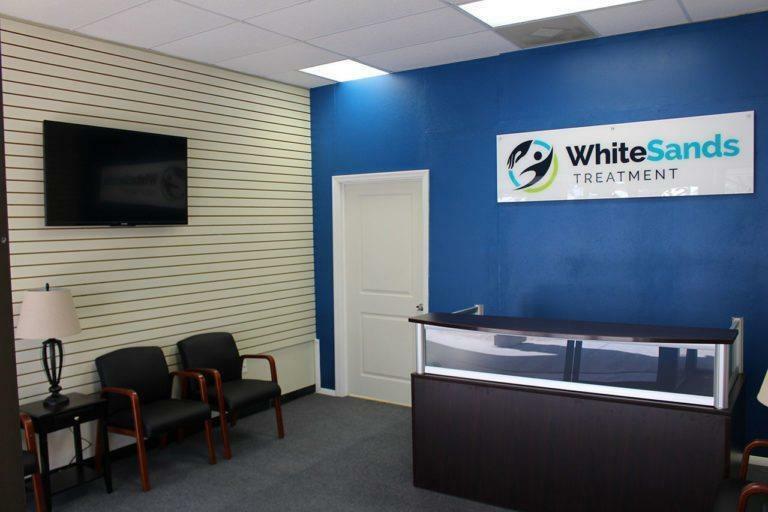 With a 100% commitment to making and molding lives for a happy future, WhiteSands Treatment Center continues to develop different methods of treating drug and alcohol addiction effectively and efficiently. As a premier drug rehab center in Sarasota, WhiteSands Treatment Center also provides top-flight addiction programs such as Medical Detox, Relapse Prevention, IOP & Alcohol Rehab, Dual Diagnosis, and many more; WhiteSands Treatment Center, this trustworthy drug addiction treatment Sarasota also offers Inpatient and Outpatient Rehab, Family Therapy, Intervention, Alternative Treatment, and Partial Hospitalization. Get help now. Dial the hotline +1 941-960-7405, and be the best version of yourself starting today. Interested patients may visit the address 7632 Lockwood Ridge Rd, Sarasota, FL 34243, USA, and start experiencing utmost care and effective drug addiction treatment. One may also visit the treatment's facility website, https://whitesandstreatment.com/locations/florida/sarasota/ for more details.